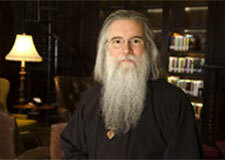 In today’s christianitytoday.com there’s an interview with John. He just released his 53rd album! I listened to some of the tunes today. It’s not my style. But John is an excellent, melodic songwriter. He’s also written some books. His new one is The Universal Monk: The Way of the New Monastics. Shortly after I played with John he converted to Roman Catholicism. Keith Green got upset with John about that. John began to write songs in that tradition. He is a great guitar player, and was an excellent banjo player. I think John can play the blues almost as well as Stevie Ray Vaughn. I heard him do some stuff when we were warming up that was very cool. But now, for me, he uses too many flutes and recorders. The night I played with John I did a 45-minute set to warm him up. We were in some brand new auditorium in Chicago. Several hundred people were there, including Linda, my guitar-genius friend Jeff Jaskowiak, Dug Pinnick (prior to his “King’s X” fame – Dug was part of our church), and a bunch of my Joliet groupies. John was very nice, very polite, and graciously allowed me 45 minutes. He did not seem to have some big ego-thing! 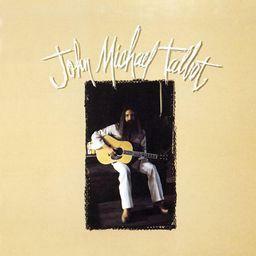 I had the long hair and beard thing going, and some people thought I was John Michael Talbot. They gave me a curtain call. Backstage, John told me – “Go give them another one.” So I did. John had brought his own, sweet Bose PA. We miked our guitars. We sat on a metal folding chair when we performed. What we did not know was that, on the ceiling of this brand new auditorium, globs of black tar were occasionally dripping on the floor of the stage. Before I sat down, I had not seen that a black tar-glob had globbed on the chair. I sat down to play, wearing blue jeans. After I was done Linda noticed the significant black spot on the botton of my jeans exactly where no one would want a black spot. Here’s a photo of John wearing the white outfit. This was, I believe, his first album. When this tree arrived at the dam I wondered, who will remove it? To my surprise, one day I looked and saw that it was green and growing! Leaves had appeared. Because the tree is immersed in a constant water source. That which I assumed dead is alive. Connect with the living waters of God. Attach yourself, branch-like, to Jesus the Vine. You will be seed-bearing. I have, for a long time, admired the writings of J. Keith Miller. Many years ago Linda and I read The Taste of New Wine. I read Keith’s A Hunger for Healing, which was a killer book for me. I just picked up his Compelled to Control: Recovering Intimacy in Broken Relationships. It’s good reading so far. 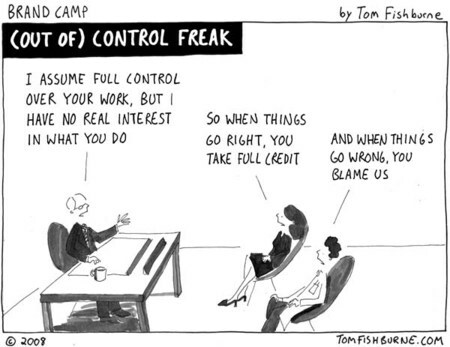 We meet a lot of control freaks and controlees. Many marriages are the coming together of these two types. Every control freak needs a controlee, and vice versa. There are a lot of “Master/slave” marriages out there. I think all of us struggle with the control thing. “Control” is the antithesis of “trust.” Trust is huge in the Jesus-life, and life in general, since we control so very, very little. Miller writes: “control is the major factor in destroying intimate relationships.” (7) Note: I never feel Linda is trying to control me, and I am not trying to control her. This is a very good way to do marriage and relationship! I’m reading Keith’s book to walk in more personal freedom. A controlling person is an un-free person. I like the way Richard Foster once put this: God wants to free us from the terrible burden of always having to get our own way. “Walking in freedom” and “controlling other people” (“always getting our own way”) are antithetical. I’m praying to be less controlling than I now am, and more trusting in God when it comes to other people. Note: this is about trusting God even when you don’t trust other people. To trust God when around distrustful people is an experiential act of freedom. Today I’m going to spend 4-6 hours alone with God. As is my habit on Tuesdays. This is a “work day” for me as a pastor and Jesus-follower. My true work is to meet with God and to be met by God. I need God. And if there is anyone who needs me, it can only be because of Christ in me. I need help from God today. I need God’s assistance every day. I need God to pour himself into me so that Christ can be formed in me. There are things I struggle with and encounter that I cannot solve or heal in my own strength and intelligence. I have seen that my strength and intelligence is not even a ‘1’ on a scale of ’10’ in terms and and relation to what God desires to work in and through me. What I need is the Living God, not some theological abstraction. I need God in my life relationally, not some religious experience or thing. I need God as my Shepherd, not advice on self-shepherding. 1. If you have a general uneasy feeling about the relationship. There should be absolutely NO PRESSURE to get married. If you’re thinking “I don’t feel good about this,” or “I don’t feel quite right about this relationship,” then STOP. Communicate this to your significant other. If they do not respect your feelings about this then that is the sign to abandon all future marital plans. 2. If you have frequent arguments. If you are arguing a lot, or all the time, then your relationship is like a car that keeps breaking down. In that case something is wrong with the car. You have a “lemon.” Yes, God can squeeze lemonade out of lemons. But in a relationship that is a lemon a there will need to be a whole lot of squeezing going on. You don’t want to spend a lifetime in a volatile, confrontational marriage, right? If you are hyper-arguing now getting married will not change this. Probably, it will get worse. 3. If you have no arguments. If you and your significant other don’t argue at all, what is the matter with you? All marriages, including the very best of them, have arguments. Linda and I do not agree on everything. If that shocks you, then pause and ponder, because we both love our imperfect, Jesus-filled life partnership. The absence of disagreement and conflict is a danger sign. Someone is in denial. Or someone is controlling. Or fearful. 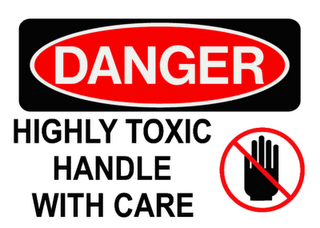 How you work through and process conflict is the indicator of relational disease or health. Read this book to learn how to do this. 6. If you avoid discussing sensitive subjects because you’re afraid of hurting your partner’s feelings or starting an argument. This is the sign of a fearful relationship. We’re told, in 1 John 4:18 says – There is no fear in love. But perfect love drives out fear, because fear has to do with punishment. The one who fears is not made perfect in love. Relational fear is in inverse proportion to Jesus-type love. Loving relationships can talk about ANYTHING without being threatened. 7. If you feel you are staying in the relationship through fear. See 1 John 4:18 in #6 above. This kind of relationship is to be avoided like the black plague. Let’s call it: slavery. 8. If you find yourself always doing what your partner wants you to do. This one might be about you. Never marry someone if you do not know who you are in Christ. This will not be good for your marital partner. It is not a cool thing to discover, one day, that you do not recogize the person you married. 9. If your partner thinks that toilets are self-cleaning. Sadly, I used to think this, while feeling upset upon finding an unclean toilet. My mommy used to always clean up after me. Then one day, in my first year as a Jesus-follower, I was living with my parents. We had finished dinner. God told me, “Wash the dishes.” I spoke words never before uttered by me: “Mom, you take a break, I’m going to do the dishes.” Mom looked at me like I was Gregor Samsa. Things got Kafkaesque for her for a while. My life as a servant began. Don’t marry someone who doesn’t clean up after themselves. No, let me put this more strongly: don’t marry someone who does not clean up after you. This goes for both of you. 10. If you detect serious emotional disturbances. This is a “please count the cost” item. You are not going to save this person from themselves. Yes, God can heal them. This healing can be either mediated (through counselors, physicians, other helpers) or unmediated (direct, from God). Yes, God loves people who have serious emotional problems. And yes, yes, yes, there’s not one of us who has a “full deck,” mentally. Your significant other should already be on the road to mental health before you meet them. This is a soft warning which says: marrying someone with mental illness is going to be a heavy cross to carry. If you struggle with mental illness, please get help now and let the healing begin. Then if and when you do marry the load of your recovery will not entirely be on the shoulders of your mate, who will be untrained in all of this. FOR MORE HELP GET THIS BOOK AND READ IT NOW! • Gary Chapman, Things I Wish I’d Known Before We Got Married.